The use of technology has made new avenues available to a wide range of users. Insurance is now being made available to the underserved across the MENA region. Finding the best financial product (loans, credit cards etc.) for your needs is just a few clicks away. You can even make payments from phone to phone mid-flight if the need arises. The financial revolution has already begun. Small & medium enterprises (SMEs) are taking a leap forward in the way they do business. Obtaining finances through peer-to-peer (P2P) lending networks is a growing trend. Cashless smartphone transactions are convenient, efficient and customer-centric. Launched in November 2014, Beehive is an early mover in the P2P finance sector in the GCC region. It works to address the issue of financial access for small businesses. It enables SMEs to borrow directly from a crowd of retail investors at lower rates, with greater transparency. One of the most attractive propositions is their promise of faster access to funds than traditional institutions. Interest rates are also typically lower for businesses. It is MENA’s first regulated peer to peer (P2P) lending platform. An excellent feature is Invoice financing which helps quickly improve working capital and cash flow, often providing funds within hours. Beehive applies its own risk models to determine the creditworthiness of borrowers. It also has a certification from Shariyah Review Bureau, a Sharia advisory company. Beehive’s offering is currently limited only to businesses based in the UAE, but I hope they expand their presence soon. Eureeca lays claim to being the first global equity crowdfunding platform. Originally based in the UK, its Dubai presence is licensed by the Dubai Financial Services Authority (DFSA). With a presence in the UK, Netherlands, Dubai & Malaysia, Eureeca offers access to a larger pool of investors. Its regulatory compliance with UK’s Financial Conduct Authority also ensures that high standards are maintained. This is one of the FinTech startups in GCC for small businesses that offer more than just capital. It regularly hosts pitching events to provide a platform for emerging SMEs. It also strives to connect businesses with investors who have know-how and networks related to the business. Eureeca works with businesses from start to finish, providing support every step of the way. From making the proposal an attractive proposition to signing of term sheets & issuance of shares, it’s all looked after. As an SME, they help you focus on what really matters, growing your business. PayTabs brings the world of payment to your fingertips. For small businesses, maintaining invoices is a crucial part of capital management. As a complete payments solution provider, PayTabs simplifies that solution and plenty more. From invoicing to accepting payments, it provides an automated integrated platform which you can manage with a few clicks. Not only are digital payment services more efficient they are also transparent. They reduce paper costs while speeding up the flow of cash. This is highlighted by their integration with the nationalised SADAD payment system in Saudi Arabia. Their service can be integrated with your apps for payment management. They also have integrated plugins for e-commerce platforms such as Shopify & Magento. It’s no surprise they are a global payments processor. I wish them the best in continuing to soar high in the world of FinTech. Liwwa is an exclusive lending platform for small businesses in Jordan. They open up access to finance with technology that is simple, fast and secure. As a feature, Liwwa provides a lending decision within 48 hours without any hidden charges or paperwork. It has a trusted partnership with Bank al Etihad. An easy calculator on their website provides transparency on the entire process. Small businesses can choose a repayment term between 6 months & 3 years. Approved applications usually get funded within 7 days. The loans are processed according to a Murabaha or Ijara transaction. To qualify, a business must be at least 1 year old and have a current commercial registration certificate & trade license. Their service is currently available only to businesses registered in Jordan. The three simple categories on their website, Pay, Sell & Collect sum up Tap’s payments offering perfectly. Based in Kuwait, it offers round the clock customer service and helps businesses every step of the way. Tap enables SMEs to collect payments from Kuwait and the GCC region and manage them conveniently. Sending bills is a simple 2-click process, through apps that are available on the Appstore & Play store. Through custom-built offerings for individual small businesses, Tap goes the extra mile to make invoice management a seamless process. It offers an inventory feature, so adding product details to your invoice takes only a few seconds. This Fintech startup in the GCC for small businesses allows payments to be collected globally. The bill management features include the ability to duplicate bills & share reminders. Checking on the status of payments & receiving funds is a seamless experience as well. They boast a technology platform that integrates with Mastercard, Visa, American Express SafeKey & more. I hope many of you will find these services helpful to your small business. Going online can help your business take the next step towards growth. 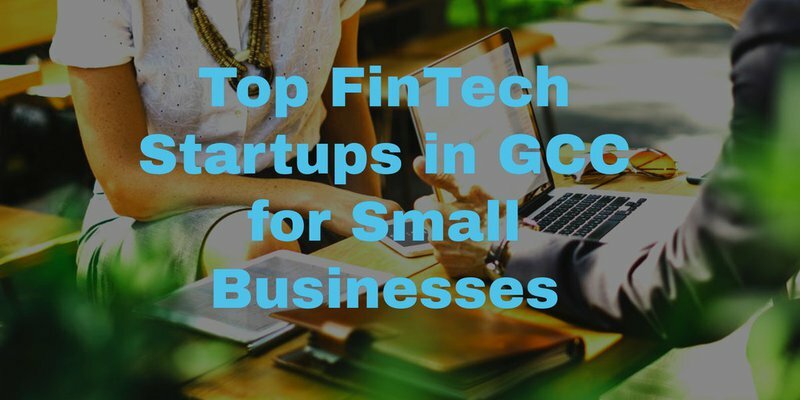 Several FinTech startups in GCC for small businesses are making it a simple process . Will you be availing any of their services? Do share it with me in the comments below.